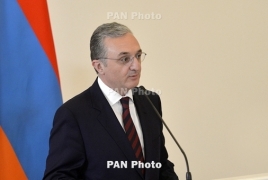 PanARMENIAN.Net - Foreign Minister Zohrab Mnatsakanyan will participate in the Munich Security Conference on February 15-17, the Foreign Ministry’s press service reveals. While meetings with top diplomats from dozens of countries have already been confirmed, Mnatsakanyan has not ruled out a possible meeting with his Azerbaijani counterpart Elmar Mammadyarov who has, in turn, confirmed participation in the conference. As reported earlier, Armenian President Armen Sarkissian will leave for Germany to attend the opening ceremony of the Munich Security Conference. When in Germany, the President will meat heads of state and a number of top officials form a host of countries.